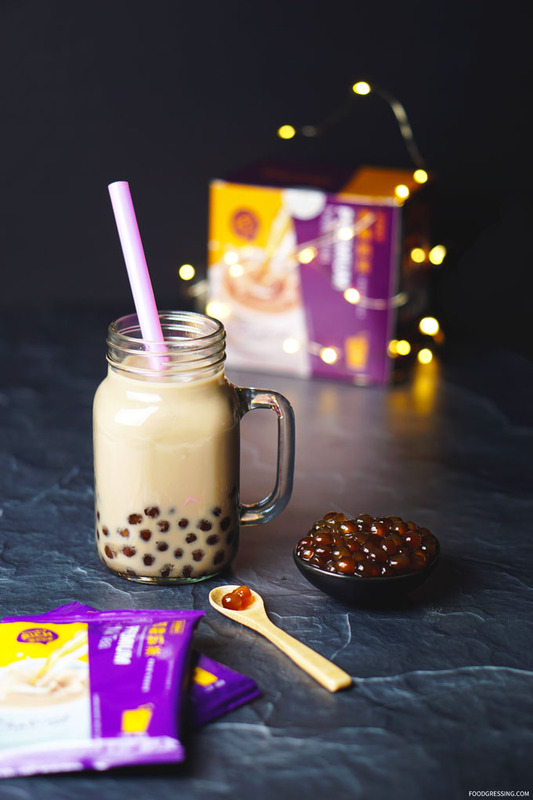 In time for the holidays, Chatime announced that they were offering a limited number of tea boxes so you can make your Chatime milk tea at home. 5 milk tea flavours were made available: Premium Milk, Premium Jasmine, Supreme Oolong, Dark Roasted and Selected Mixes. According to Chatime, these boxes would be sold at all Chatime BC locations except Langara, Victoria and East Vancouver. Note: This review is not sponsored and the product was not complimentary. Opinions are my own. Chinesebites graciously tried to offer me a box to try as media but unfortunately, they were sold out already! However, the stars were aligned for me as I managed to find some at the T & T Supermarket by BC Place. After posting about the find on my Instagram stories, a friend saw the post and tried to find it at the T & T Supermarket in Metrotown. Either the store didn’t carry any or it was sold out because she had no luck getting a box. At the T & T Supermarket by BC Place, they carried only the Premium Milk and Oolong tea flavours. It was also on sale this week for $6.99 from $8.99. This is quite a discount from paying $4+ dollars at an actual Chatime location. I end up getting a box of Premium Milk Tea to try. Each box contains 12 sachets of milk tea. 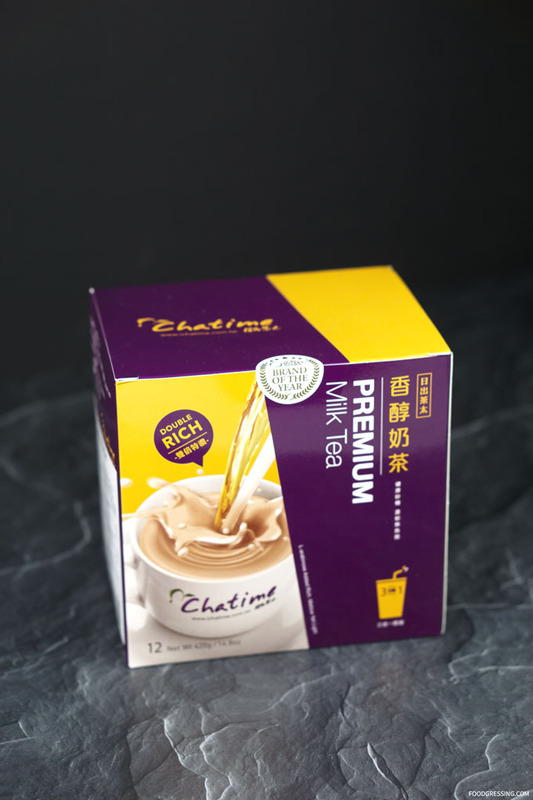 One satchet can be prepared as either cold milk tea (90 mL) or hot milk tea (180 mL – 220 mL). Eh voila, here is what the tea mix looks like. It’s very fine and dissolves quite quickly. Now for a more true bubble tea experience, you gotta have bubbles, right? 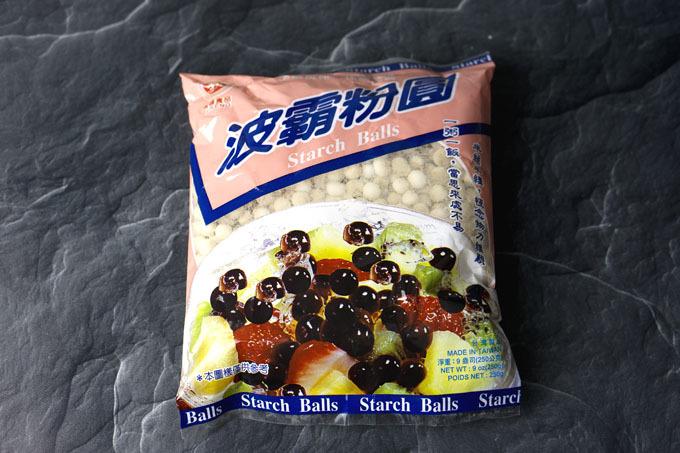 I have been using this brand of starch balls bought from T & T for a while now. The instructions on how to cook the pearls are in Chinese and seem to require the use of something like an instant pot? Anyhow, after some trial and error, I figured out the way to do it per 1 packet of Chatime milk tea is to have about 80 grams of pearls per 1 L of water. You start off by heating water to boil then add the pearls. 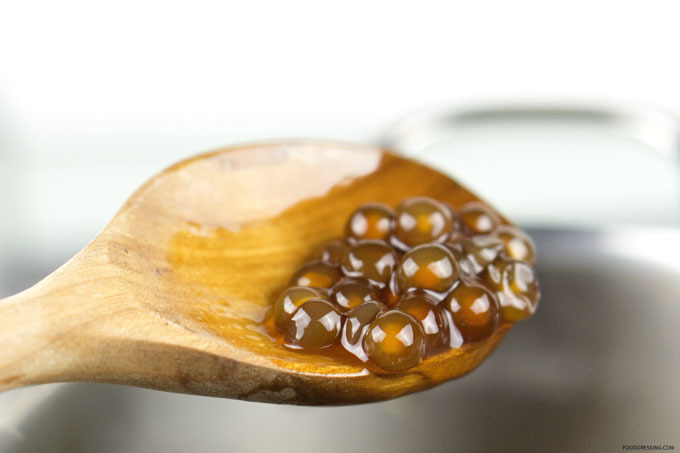 It’s actually quite a labour intensive process to make these pearls over the stovetop because you need to stir frequently so that the peals don’t stick to the bottom. And I cook them for about an hour before draining them and rinsing with cold water. 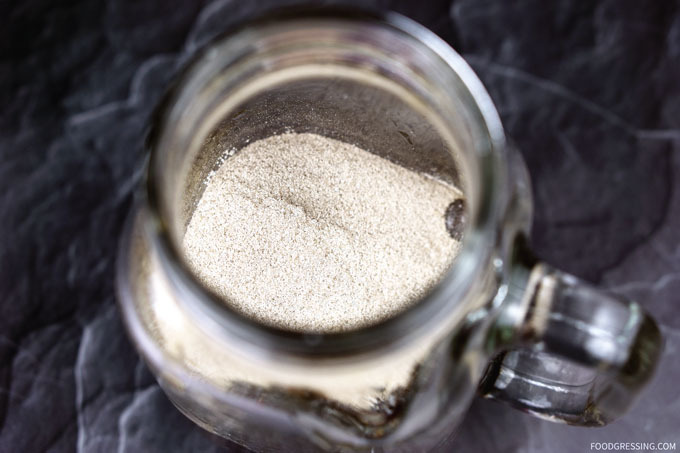 The last step is to sweeten them to your taste (like with brown sugar, honey or agave). And that’s it, at-home Chatime milk tea! The Premium Milk Tea flavour is true to that what you would get in-store. And with just a price of $0.58 per cup (sans pearls), I’d say it’s a very good deal with no compromise in flavours. A very convenient product when you desperately crave bubble tea (I have that sometimes). I made a hot milk tea and it was very satisfying. I highly recommend giving it a try. 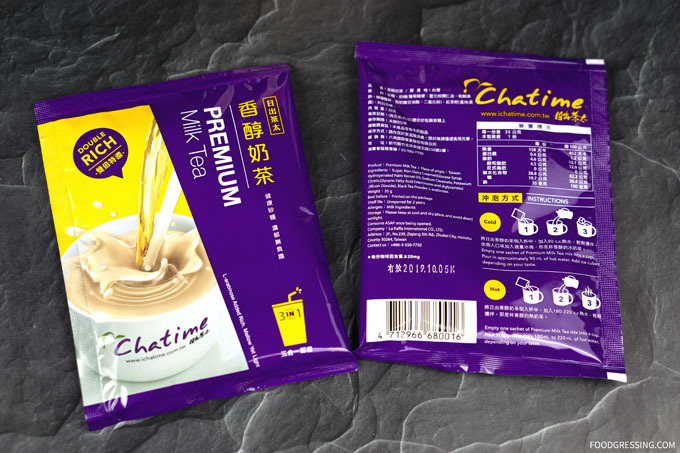 Did you know that you can buy Chatime Milk Tea bags online? Find out more in my post here. Love the presentation !! Makes all the difference !